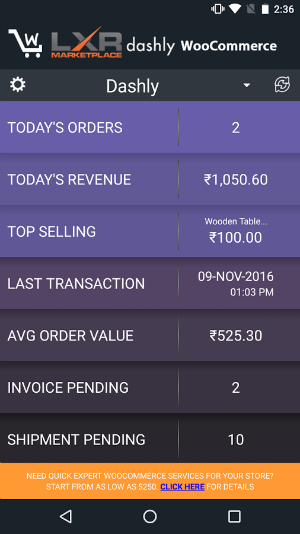 WooCommerce Mobile Dashboard is a real-time WooCommerce Mobile Dashboard and Admin App for Android and iOS Phones, Tablets and iPads. 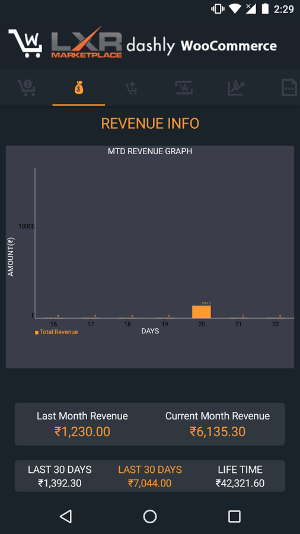 It lets you connect to your WooCommerce Store and get live access to all vital store information such as Sales, Revenue, Invoice, and Shipment information. 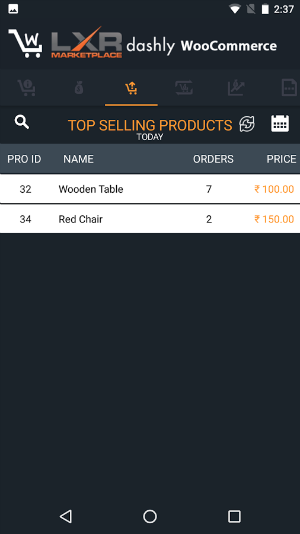 You can also connect with any number of WooCommerce stores from your app. Best of all, there's no need for any coding. 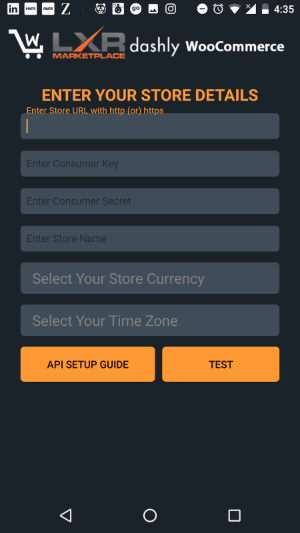 Anyone can simply install this app by creating an API Key and inputting it into your WooCommerce store. 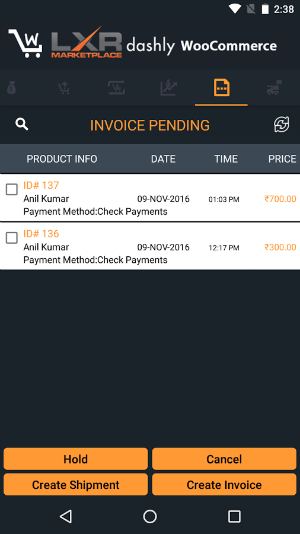 We also provide a helpful guide with screenshots to show how an API user and role can be created. 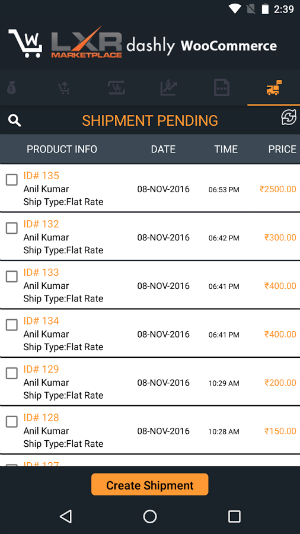 Ability to add multiple WooCommerce stores targeting different geographies. 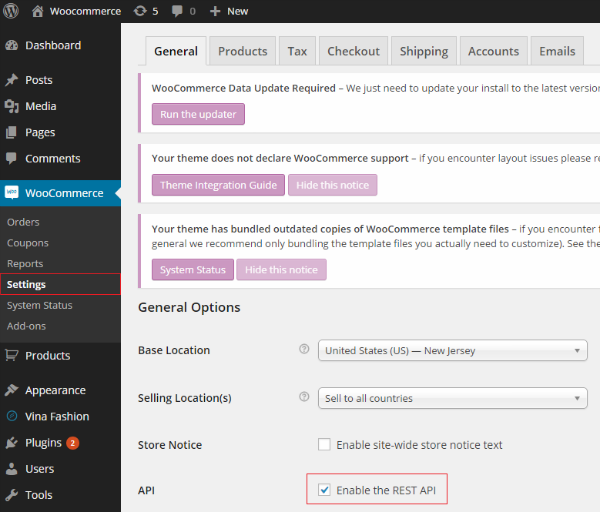 Step 2: Login to your Woocommerce admin. 1. 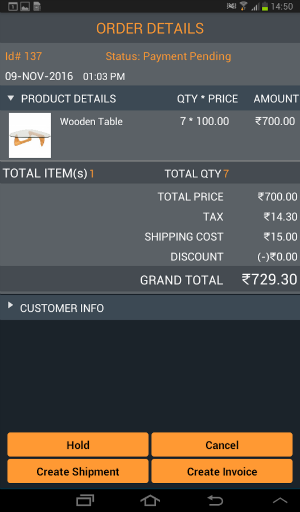 In Woocommerce Admin Menu, click on ‘Woocommerce’. Select ‘Settings’. Please enable the 'REST API'. Step 3: ENABLE SOAP API. 1. Locate php.ini in your apache bin folder, i.e Apache/bin/php.ini. 2. Remove the ; from the beginning of extension=php_soap.dll. 3. Restart your Apache Server. 4. Look up your phpinfo(); again check if you see a similar picture to the one above. 1. 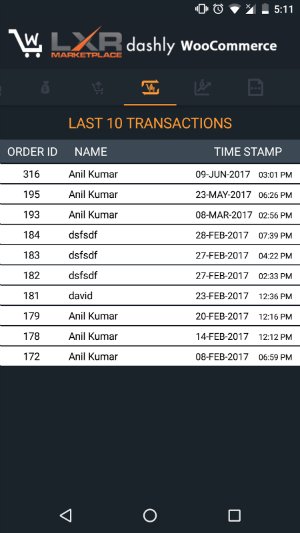 In Woocommerce Admin menu, click on ‘Settings’. Select ‘Permalinks’. Please enable the ‘Post Name’ in ‘Common Settings’. 2. 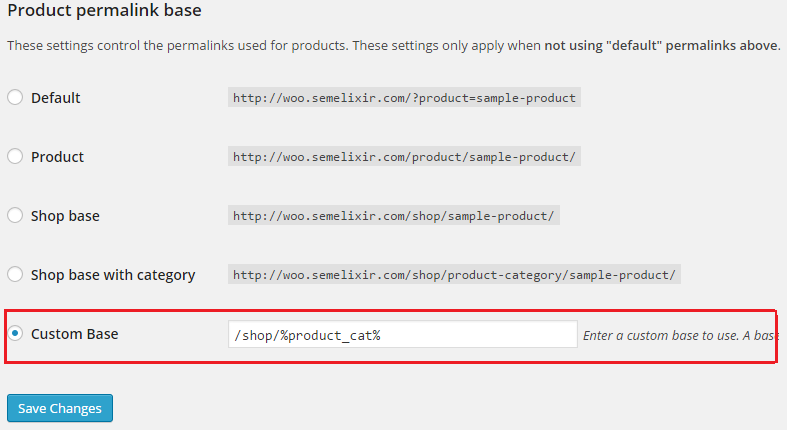 In same ‘Permalinks’ page, under ‘Product permalink base’, first check the option ‘Shop base with category’ and then enable the ‘Custom Base’. Step 5: In Woocommerce Admin menu, click on ‘Users’. Select ‘Your Profile’. 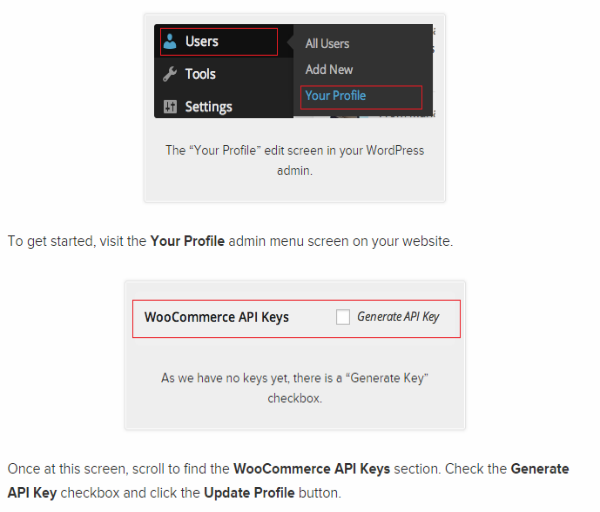 Please enable the ‘Generate API Key’ and click on ‘Update Profile’. Step 6: Consumer Key and Consumer Secret created like below. Note: Finally go back and enter StoreURL (Ex: http://www.test.com or http://test.com or www.test.com), Consumer Key and Consumer Secret as what you created in Store. Store name is optional and select your store currency. 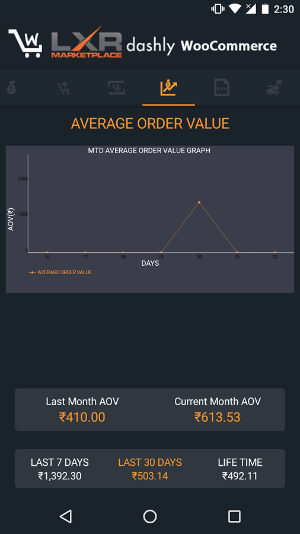 Today's Order Widget: Displays total orders for the day. 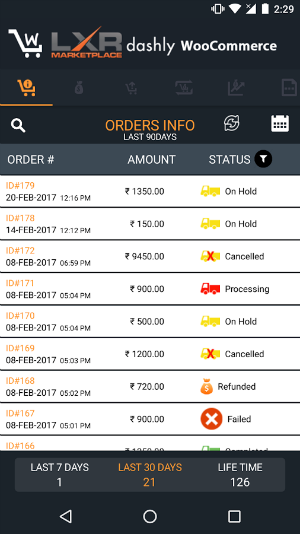 You can filter out the orders through the status of the order ie. Completed, Shipped etc.. 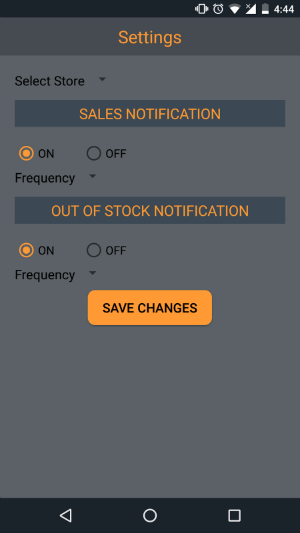 Sales Notification: You can turn on/off the sales notification alerts received on your mobile. You can also set the frequency at which you want to receive the alerts from the Frequency Drop Down. 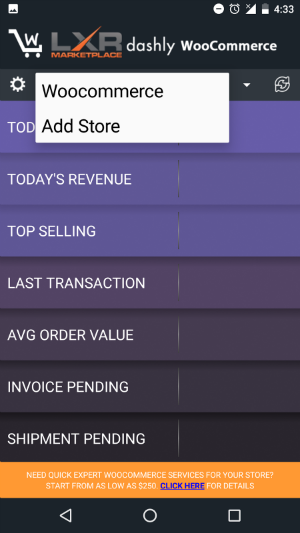 Add another Store: You can add multiple WooCommerce stores to your Dashly App using this option. Select Add Store option from the drop down icon next to your store name.